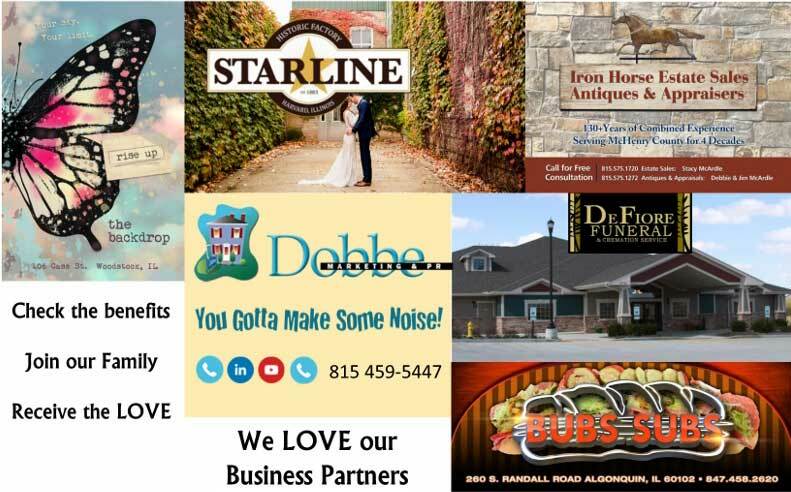 On behalf of the McHenry County Historical Society and Museum, I would like to invite you to become a business partner with us and enjoy special benefits all year long. Since the mid-1960s, the McHenry County Historical Society has worked to educate the public about our county’s history. Besides operating the museum, the Society plaques historic sites and structures, hosts adult workshops and classes, makes available traveling exhibits and arranges a wide variety of school and other group programs. Covering a large area of towns, cities, and villages, MCHS is sure to reach current and prospective customers, potential employees, and other supporters that you may be unaware of. We very much appreciate your interest and invite you to participate with our countywide organization. Please see the chart to explore the different levels and benefits that are available to you and your company. Give us a call and we will be happy to discuss these options further. Thank you for your consideration!